Dr. Salmon practices in the area of healthcare law with a focus on physician and health provider organizations regarding regulatory, compliance, and transactional matters, including health organization – physician alignment. He provides services to a broad array of health care providers, including health systems, physician practices, and pharmacies. 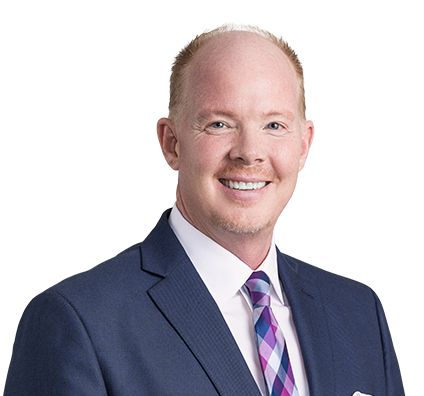 Kirt advises clients on pharmacy regulations, the Anti-Kickback Statute, Stark Law, state and federal fraud and abuse laws, state licensure, and the corporate practice of medicine doctrines. Additionally, he provides guidance to clients regarding the HIPAA Privacy and Security Rules. His clients include hospitals, independent physicians associations, Federal Qualified Health Centers, dental support organizations, pharmacies, pharmacy benefit managers, behavioral health centers, and dialysis centers. Kirt also has particular experience working with specialty pharmacies to resolve licensing issues and other compliance challenges. Prior to joining the firm, he worked as a chiropractic physician. He also is a Fellow of the International Academy of Chiropractic Neurology, has a diplomate from the International Board of Chiropractic Neurology, and is certified as a chiropractic sports physician through the American Chiropractic Association. Kirt attended Brigham Young University, earned his doctor of chiropractic from Parker University, his juris doctor with a Health Law Certificate and master of health administration from the Saint Louis University School of Law and the College for Public Health & Social Justice.